Initial scans of a cigar-shaped interstellar 'comet' have yet to confirm it is of extra-terrestrial origin. Scientists began listening for signals coming from the space rock, named Oumuamua, using the world's largest directable radio telescope yesterday. A number of prominent figures have claimed the strange object may be an alien vehicle of some kind. Initial readings, taken by scientists from Breakthrough Listen, have been made public for the first time. Experts used the Green Bank telescope in West Virginia, to follow the object for ten hours on Wednesday from around 8pm GMT (3pm ET). They are listening for electromagnetic signals, no stronger than those emitted by a mobile phone, that cannot be produced by natural celestial bodies. 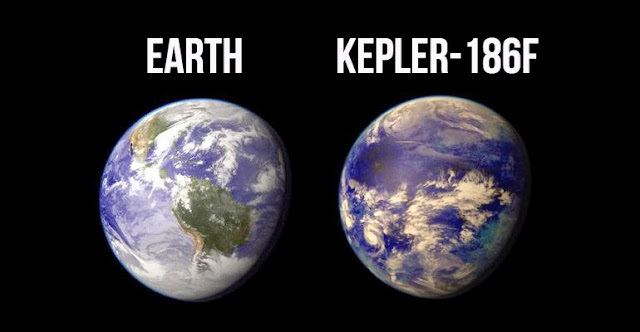 If they find them, it would be proof that extraterrestrial forces really could be at play. So far, there has been no evidence of artificial signals emanating from the object, but sorting through the large volumes of data collected may take some time to complete. A block of observations, the first of four which are planned, ran from 8.45pm GMT (3:45pm ET) to 2.45am GMT Thursday (9:45pm ET Wednesday). Speaking to MailOnline about the results Andrew Siemion, director of Berkeley SETI Research Center, said: 'The most interesting property of the universe is that it gave rise to beings capable of asking about its existence. 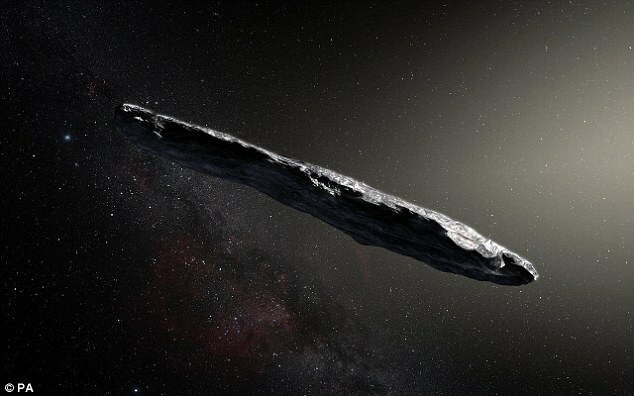 Oumuamua is a Hawaiian term meaning 'a messenger from afar arriving first'. Breakthrough Listen observed Oumuamua across four radio bands, spanning billions of individual channels across the 1 to 12 GHz range. The instrument accumulated 90 TB of raw data over a two hour observation of Oumuamua itself. So far, data from the S-band receiver - covering frequencies from 1.7 to 2.6 GHz - has been processed, and analysis of the remaining three bands is ongoing. Most intriguingly, it is the wrong shape for an asteroid — they are typically round. 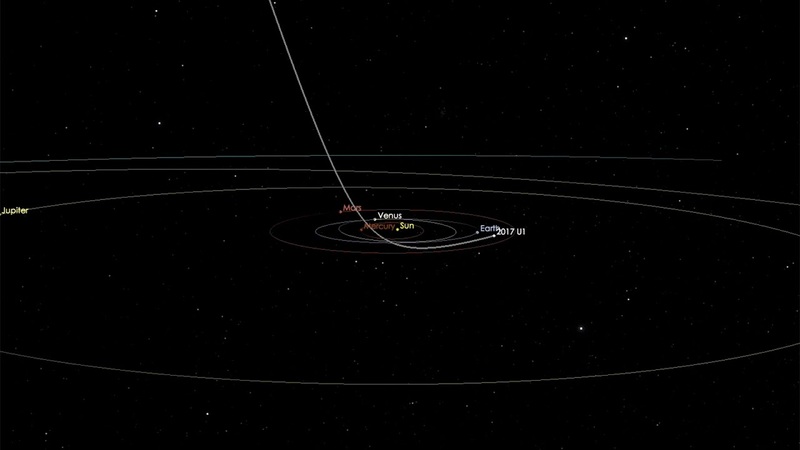 Another oddity is that Oumuamua is flying very 'cleanly', without emitting the usual cloud of space dust that astronomers observe around asteroids. Experts say this suggests it is made of something dense: probably rock, but possibly metal. One astronomer claims that the space rock, named Oumuamua, could be an alien spacecraft with broken engines that is tumbling through our solar system. Dr Jason Wright from Penn State University suggests that a broken alien spacecraft move in exactly the same way as the interstellar comet. 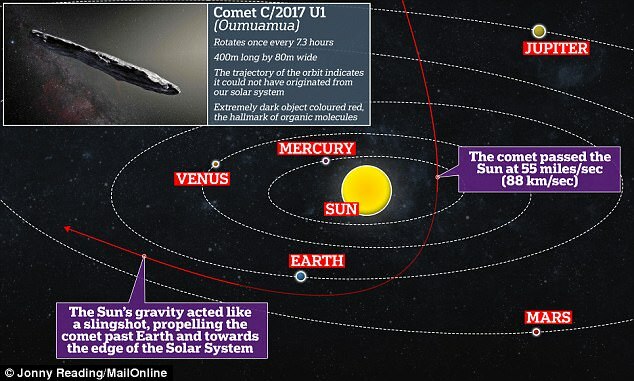 Oumuamua was first detected on October 19 by a long-running research programme called Pan-STARRS, which uses powerful telescopes to photograph and monitor the night sky at the University of Hawaii. Its amazing speed has led some experts to conclude it is the first such object to have come towards us from outside our solar system. Analysts also say its faintly red colour indicates it has been subjected to interstellar cosmic radiation which is harsher than we experience in our solar system. The fact that it doesn't seem to have engines or show signs of propulsion may wreck the interplanetary-spacecraft theory. 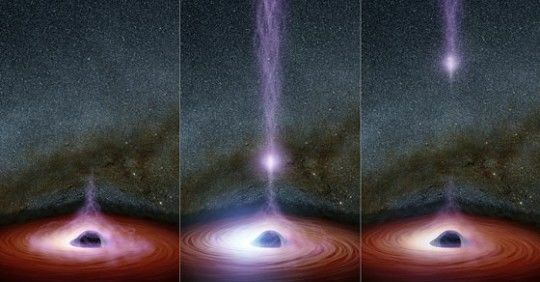 If a radio signal does come back from the object, Professor Avi Loeb, Professor of Astronomy at Harvard University, suggests that we will need to proceed with caution. Speaking to MailOnline, he said: 'My recommendation, as in any dialogue, is that we first listen and do our best to understand what we are hearing.